Early in my teaching career, I had a construction paper stoplight in my room. Each color on the stop light represented the desired volume. Green meant talking was OK. Yellow meant that whispering was OK. Red was for silence. I moved the light based on my desired volume for each activity. It was well-planned. I purposely chose the volume that would best fit each learning activity. I also used it to control the volume when it seemed to get too loud. Twenty years later, Amazon sells a Yacker Tracker for a hundred bucks and it senses the volume and changes the light automatically! If the students were working on projects or inquiry-based lessons, the light was green. Talking was OK. Green was also lit for projects and cooperative learning activities. Yellow was lit for independent work. Red was lit during reading time and some independent work activities that I chose to be silent. I can't remember why??? The problem with the stoplight was that my kids didn't always agree with the volume that I wanted. So I spent too much time trying to enforce the "correct" volume. It didn't seem to matter how many times we practiced the correct volume, I always had kids who showed me they didn't agree. After too much time and energy, I finally asked myself, "Why?" I asked several other teachers for better strategies to control the volume, I wanted more tricks in my bag. I tried several of them, but the results were the same. I looked another direction for an answer. I looked at my rationale behind the different volumes. I tried to simplify things so that my students could better understand the expectations and more importantly, so I could maximize learning and spend less time fixing the volume. I started by asking myself, "When does it absolutely need to be silent?" I came up with two answers. When someone is talking to the whole class, everyone else should be quiet. That one seemed easy. Also, some assessments needed to be quiet. Several other learning activities crossed the board when I thought about silent. What about reading time? I decided that short conversations about reading made for better learning. What about videos? Short conversations about the videos made for better learning. What about work that was to be graded? This one was easy to let go as I strongly preferred a standards-based grading system! I also asked myself, "When is whispering the correct volume?" 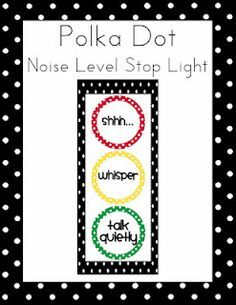 I listed several possibilities, but the only time that I could come up with where whispering was the best volume for everyone's learning was during silent reading time. I guess "almost-silent" reading time would be more appropriate! Looking at these new guidelines for class volume, it seemed to me that they were more natural for human beings! When someone else talks, everyone should listen. When the majority of people are concentrating silently, everyone else should respect the quiet environment by talking as quietly as possible. Most importantly, when we are learning, we should be talking! Now, when designing learning activities, rather than thinking about the best volume, I invest time thinking about how to elicit the best talk. Evoking great questions. Involving the learners in thoughtful discussions. The one doing the most talking is doing the most learning!